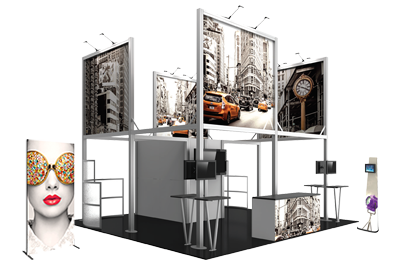 The Formulate® 10ft Wide Straight 10ft Tall Fabric Backwall adds extra height and additional space for messaging. This elegant square-shaped display features state-of-the-art zipper pillowcase printed fabric graphics and a portable lightweight aluminum tube frame to create an eye-catching display for any environment. Zippered fabric graphics are hand-sewn and durable.